Slapped on some flat laces (right) on my pair of punched toe coimbras in the 234 last. IMO, this pair looks so much better with flat laces. Bumps up the formality and sleekness. Come to think of it, I wish brands offer this as an option upon purchase. Finally got the suede split toe by skoaktie. I love them to say the least. @NocheOscura i can offer my little help, I have historically been a UK9 in everything even though I down have any Carmina experience. The CS 397 fits fine in a UK9, and the 234 is definitely roomier than any of my other shoes, almost to the point of being able to fit a 8.5. I hope that helps! Thank you for your input and help. It makes me a little more confident in purchasing a shoe from Carlos Santos. Split toes via Skoatiebolaget. On the 234 last in a size 10UK, seems a generous last (happy about that) I’m a 10.5 on both Carmina Rain and Detroit and these are similar. Really impressive shoes with lovely soft suede and my first CS, I’m sure not my last. Great picture, all of those patinas are really nice. View attachment 1039355 Split toes via Skoatiebolaget. On the 234 last in a size 10UK, seems a generous last (happy about that) I’m a 10.5 on both Carmina Rain and Detroit and these are similar. Really impressive shoes with lovely soft suede and my first CS, I’m sure not my last. I am interested in that last, would you say is true to size? I personally found that this last in this shoe was between 1/2 to 1/4 size larger than my normal UK size. I’m UK 10.5 in almost all shoes and lasts but these are 10 and perfect. Absolutely! Love the beautiful signature patinas offered by Carlos Santos. I'd say CS 234 last is slightly more roomy/generous compared to Carmina Rain. Best to usually down size by half, or take the same size if one's feet are slightly wider. I think I would size down then. It looks like a very good last for boots. For CS Boots, only the Jumper Boots with Commander Sole is available in 234 last. For the Chelsea, Chukka and Jodhpur Boots, they'll be in the new 401 last, which replaces the old 234 last. As for the Wingtip Boots, it'll be in 333 last, made up in grained leather and Danite Sole. Jumper boots would be great. I'd say CS 234 last is slightly more roomy/generous compared to Carmina Rain. 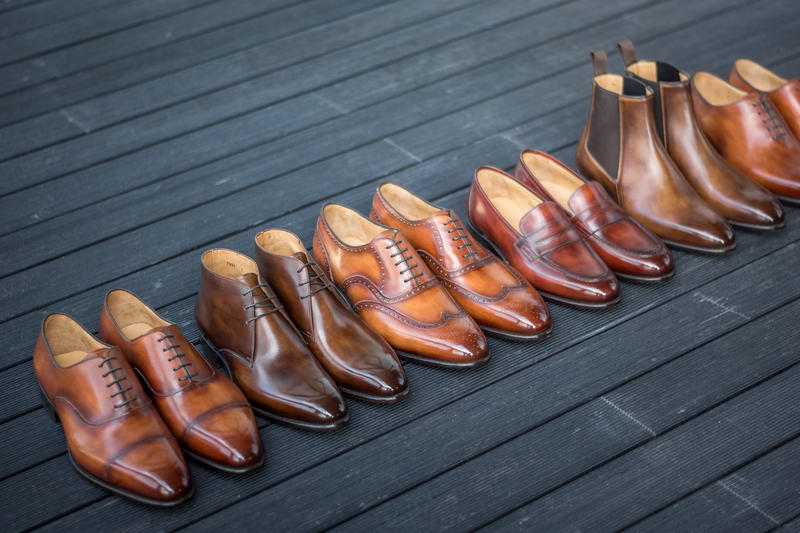 Our customers usually down size by half, or take the same size if their feet are slightly wider. Is the new 401 a narrow last? I bought a pair of CS field boots last year, and they only fit if I wear very thick socks, they are roomy boots, plus I have narrow feet, lengthwise are perfect. 316 last.